The Cuban revolutionist, Che Guevara, was dubbed a symbol of innovation and hope. Our German Shepherd Stud, Che Guevara, is no different. 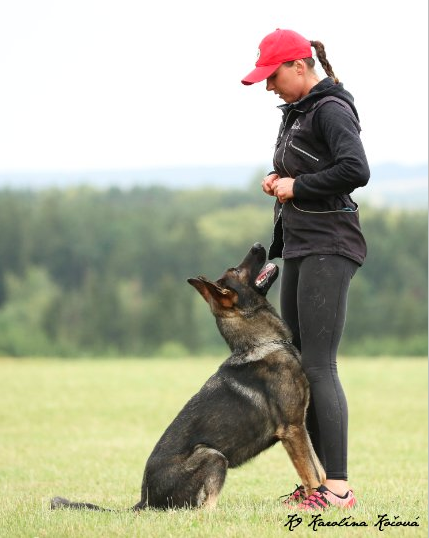 We were looking for a stud that epitomizes the ultimate German Shepherd; brave, courageous, loyal, ambitious, distinguished, confident, and bonded. We wanted a fierce protector; a gentle companion; a best friend; a dog with the intelligence to follow his intuition and react in fast-paced situations. Yet, we desired a biddable dog focused and willing for his handler and waiting for his every command; a transcendent dog; an “all in one.” We found all that and more in “Che”. Flown in from the Czech Republic, our West German-bred Shepherd attained his BH, Zvv1, and Zvv2 in a matter of a few short months before his flight to the USA. Rating KKL 1 , his Czech Korung 5CV1/P showed supremacy in both structure and performance.. He has been health tested, including hips, spine, elbows, and DM. Che embodies everything the original-style of German Shepherd was intended to be. Upholding the unrivaled accomplishments of his ancestors, which includes a pedigree of world champions, Che represents generations of careful breeding by the top kennels in the world over the last few decades. Here at Debut Shepherds, he is our innovation, our hope, and is paramount to propel our breeding program forward. Click here to see his entire pedigree! Che is an AKC registered German Shepherd available for stud to approved females.